Magnolia Plaza is an elegant formal garden of magnificent trees spread in front of the beaux arts Administration Building. 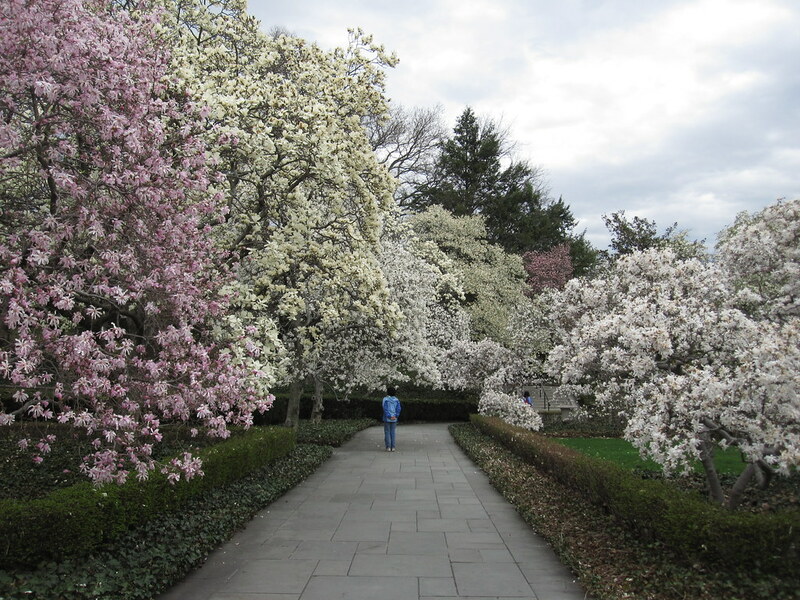 The sweet scent and showy blossoms of magnolias are among the early signs of spring at Brooklyn Botanic Garden. In March, the star magnolias (Magnolia stellata) bloom, covering the trees with a multitude of lacy white flowers. In April the Plaza is splashed with the ivory, yellow, pink, and rich purple of 17 varieties of magnolias. The last to bloom in the collection, the sweet-bay magnolia (M. virginiana), reveals its fragrant, creamy white flowers in June. 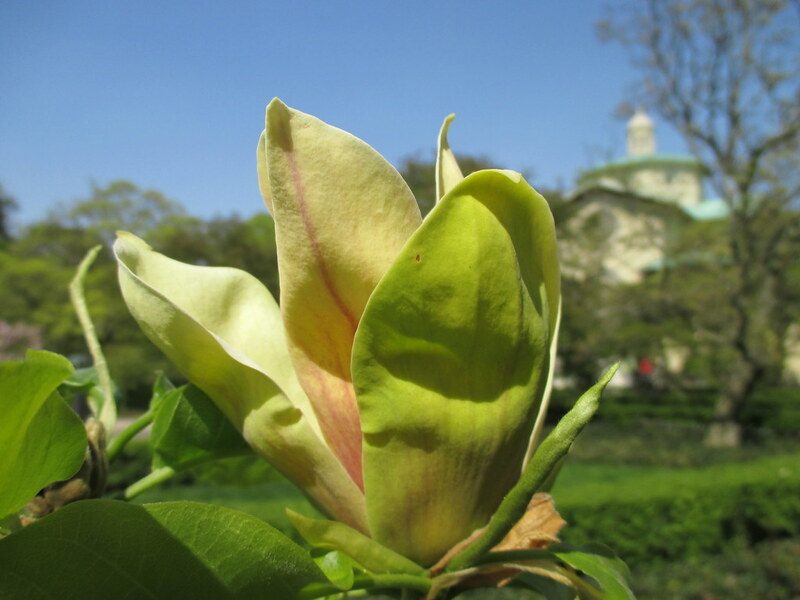 Important new magnolia hybrids have been developed at the Garden, including 'Elizabeth', a vigorous tree with clear yellow flowers and the ‘Judy Zuk’ magnolia, named in honor of BBG’s former president. From March-blooming star magnolias (Magnolia stellata) to saucer magnolias (M. x soulangiana) in April, Magnolia Plaza is sweetly scented with 72 trees highlighting 17 varieties. Magnolia Plaza was first planted in the spring of 1932. 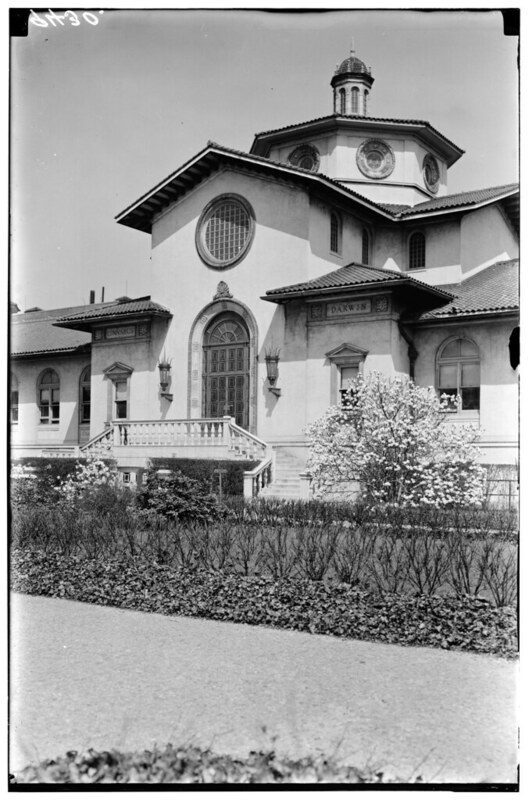 It was designed by Harold Caparn, the Garden's landscape architect from 1912 to 1945, and funded by the BBG Auxiliary, which raised more than $1,500 for the project. The first planting included 80 magnolias, 5,000 ivy plants, 650 euonymus, 450 California privet, 60 barberry shrubs, 20 akebias, and two tulip trees. Magnolia Plaza in bloom. Photo by Rebecca Bullene. Magnolia x brooklynensis ‘Hattie Carthan’, one of the later-blooming hybrids. Photo by Sarah Schmidt.